TS Freight has made a reputation for itself as a premier Chinese transport company that caters to clients across the world and also enables import from China to Singapore via Sea or Air. Our objective at the company is to ensure that all clients, irrespective of the size or type of their import, are able to transport their cargo through us with the greatest ease and efficiency possible. 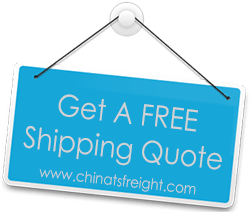 We work with multiple reputed carriers along the route between China and Singapore to bring you the most affordable and the quickest services. Our handlers in China help businesses to import goods from most major cities including Shanghai, Beijing, Nanjing, Guangzhou, Shenzhen, Hong Kong, Ningbo, Xiamen and others. Our network then transports these goods to any location in Singapore either through air freight or ocean freight shipping. Every customer is important to us, and we treat every shipment with the same quality of care and attention. Our staff members are well trained and have gained from the experience that we have earned from our presence of more than 10 years in the China import industry. In the years of our operation, we have streamlined our logistics activities to near-perfection, and can offer our customers superior monitoring and handling services for their cargo. The services that we offer include arranging for cargo pickup at source, handling, loading and unloading and customs clearance procedures before the cargo is shipped. We aim to involve our customers as little as possible in the process of customs clearance. The cargo is then loaded into containers and prepared for air or ocean transport. During transport, our coordinators monitor the shipment round the clock and our handlers receive the goods at the final destination to ultimately deliver it at your doorstep.